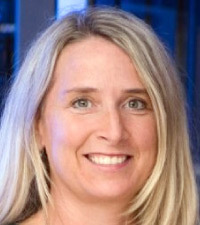 I’m Kim Larsen, VP of Managed IT Services at Scantron Technology Solutions (STS; www.scantron.com/omaha). Not too long ago, I was elated when I learned that the company I worked for, a 28-year-old IT services firm, would be acquired by another long-standing Omaha business — Scantron Technology Solutions. I’ve been here from the start and I have a personal stake in the success of my customers, most of whom are local to eastern Nebraska and western Iowa. STS went by different names in the past, but today it’s the fastest-growing segment of Scantron Corporation and is its own brand. We take pride in the fact that STS is based in Omaha and has been for more than 35 years. In fact, we have some accounts that go back that far. On the cover of this issue, you’ll see us in our Omaha-2 building. This is where our Network Operations Center is located. From the NOC, we monitor and troubleshoot network and device issues all over the United States and a few Canada sites. Scantron is not only the largest and longest-operating IT service provider in Nebraska, but today we have more than 165 Field Service Technicians (FSTs) across the country and more than 300 local employees. What does this mean to Omaha business? You can get large-company IT management, right in your back yard, at a fraction of the cost of a full-time, seasoned IT manager. When you have a trusted IT advisor looking over your shoulder at the whole business, in addition to IT maintenance and troubleshooting, it allows you to be more effective at your core competency. Our customers tell us almost every day how amazed they are with how well we know their environments. How do we do it? We’ve spent almost four decades developing the infrastructure and best practices to effectively manage and maintain customer environments of all sizes, for one site or hundreds. Even our FSTs have an average of 18 years with STS. They’re humbled by the kindness and respect that our customers give them. You don’t get this kind of longevity, depth, and strength without also having good people and great customers. We’re stepping out from behind the scenes and letting Omaha know that we’re proud natives. See our campaign at www.scantron.com/omaha. This community gave rise to a thriving, national business with an outstanding reputation in every type and scale of commercial and non-profit organization. The corporate tagline for Scantron is “Smart Starts Here.” Nowhere is this truer than our hometown. You may have seen our service vehicles around town at retail stores, professional practices, schools, colleges and universities, banks and hospitals, and Fortune 500 firms. If you’re a banking professional, you might have attended Future OPS, a bank tech conference that my company launched nine years ago and that Scantron continues to support. April 25th will mark the ninth Future OPS conference, sponsored by Scantron. (www.futurebankops.com) This conference brings together dozens of tech vendors and IT professionals from community banks throughout the Midlands region and surrounding states. Here’s to the next 35 years of STS growing with Omaha!